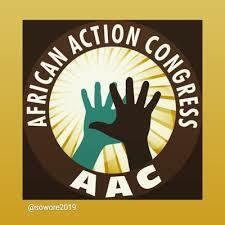 The governorship candidate of African Action Congress (AAC) in Rivers State, Biokpomabo Awara, has raised the alarm on plots by Peoples Democratic Party and others to assassinate him. Awara, an indigene of coastal Kula-Kalabari in Akuku-Toru Local Government Area of Rivers state, told a TheNation correspondent on phone he was robbed of his well-deserved victory during the March 9 election by officials of the Independent National Electoral Commission (INEC). He accused the officials of collaborating with leaders of the Peoples Democratic Party (PDP). Awara maintained that as at the time the collation of results of the polls was suspended by INEC headquarters in Abuja on March 10, he had 281,000 votes as against Wike’s 79,000 votes. 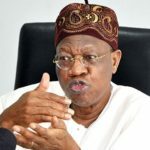 He also expressed displeasure his agent, Dr. Lawrence Chuku, was prevented on April 2 and 3, from accessing the collation centre inside INEC office on Aba Road, Port Harcourt. He alleged the commission’s compromised officials and security personnel allowed Nenye Kocha, who was accused of impersonating AAC, as the party’s collation agent, despite AAC’s protest.